Now a new Dyson is a few hundred pounds, and to call out an independent engineer to fix it would have cost around £100. 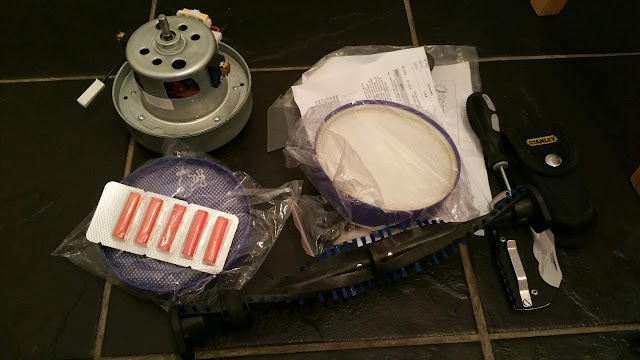 I managed to get a brand new motor, a new brush bar, clutch and drive belts, two new filters and the security screwdriver for the princely sum of £38 delivered after a bit of shopping around on Ebay. I only really needed the motor to be honest which I could have picked up for a little less than £20, but until I took it apart I didn't know if the belts had snapped causing the motor to burn out, and buying the belts in a kit with the new brush bar worked out cheaper than buying them individually without it. 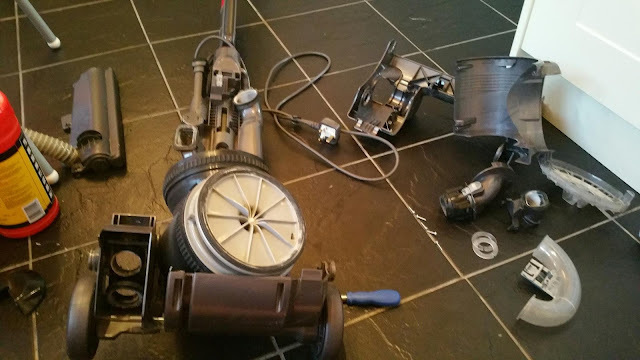 A couple of days later the parts promptly showed up, so last night after the kids went down to sleep I commandeered the kitchen floor to start the autopsy of the hoover. It was a lot more involved than I had hoped it would be, a couple of parts were really tricky to get apart and back together again afterwards and it did end up taking me a couple of hours. Cue the maniacal "IT'S ALIVE! IT'S ALIVE!!!!!!!!!!!!!!!!!" 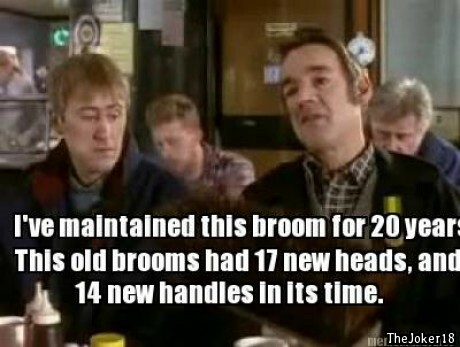 Allow me to introduce the reincarnation of Trigger's broom, I think there is officially more new parts in it than original. So the morals of the story? That if you buy quality to begin with it can be maintained and repaired for a lifetime for much cheaper than continually buying inferior products that will inevitably fail. 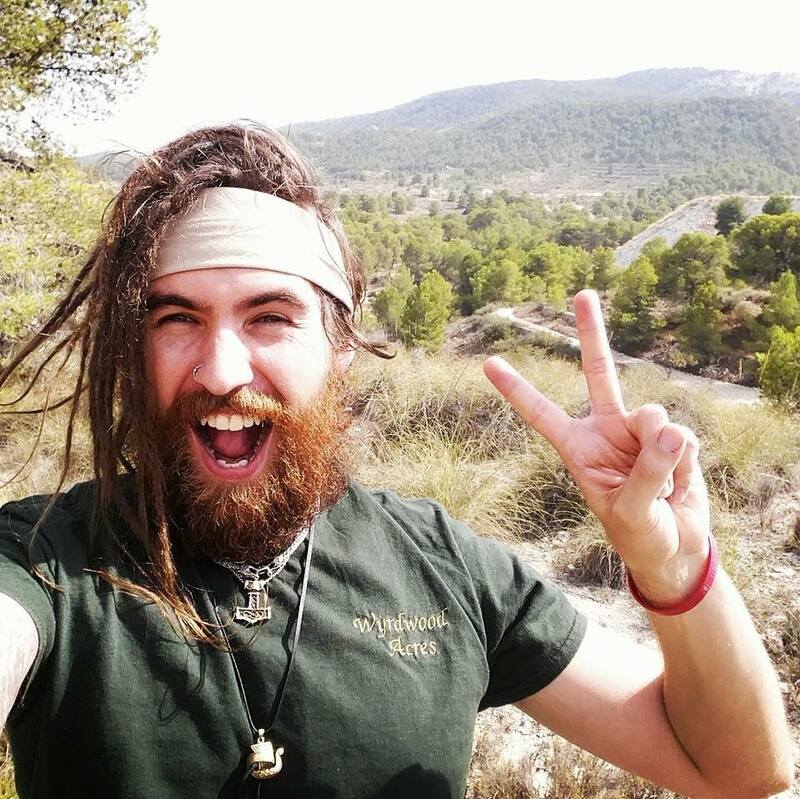 Hopefully this post inspires you to get hands on next time something breaks down, just roll up your sleeves and give it a go. At the end of the day, if it's already broken, what's the worst you could do? I spotted a Dyson outside a neighbour's house waiting for the bin men! Checked with her, yes , I now have all the spare parts I need - yay! Love my Dyson. Fantastic repair work! 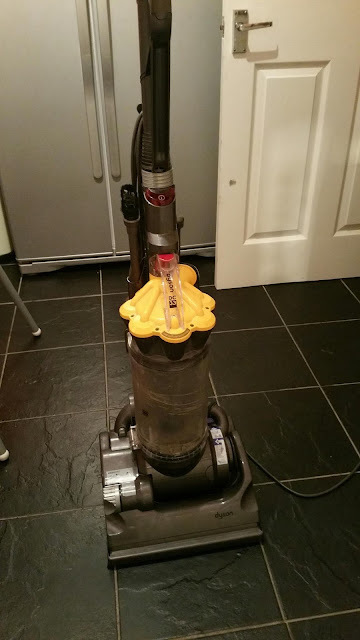 This hoover post reminded me of something funny that happened to our hoover. A long time ago, my oldest son was sick and decided to clean up after himself rather than telling (he was maybe 6). He hoovered up the sick with our trusted Miele, then thought it was a bit smelly, filled the sink with water and sucked that up. I am glad to report he is still alive. The hoover didn't survive I am afraid. It had been repaired many times but sick and water was too much. Richard did try to fix it but it was it was truly beyond repair. We had to say good bye to our inherited ancient hoover. Have a great week. There's one less vacuum headed for a landfill! Good job! Thanks, Hadn't even thought of it that way!